The Ghoul realm is under attack by a mysterious force and aspiring warrior Firebrand sets out to save it. As in its predecessor, gameplay in Gargoyle's Quest II is divided into an adventure and an action part. During the adventure parts, Firebrand explores a world map and several villages from a top-down perspective, talking to his fellow ghouls and zombies to advance the story or receive important items. Action parts are seen from a side-scrolling perspective. In these parts of the game, Firebrand has the ability to jump, cling to walls, fly for a limited amount of time and shoot fireballs at his enemies. As the game progresses, Firebrand becomes more and more powerful, receiving items that improve his agility, armor or attack power. 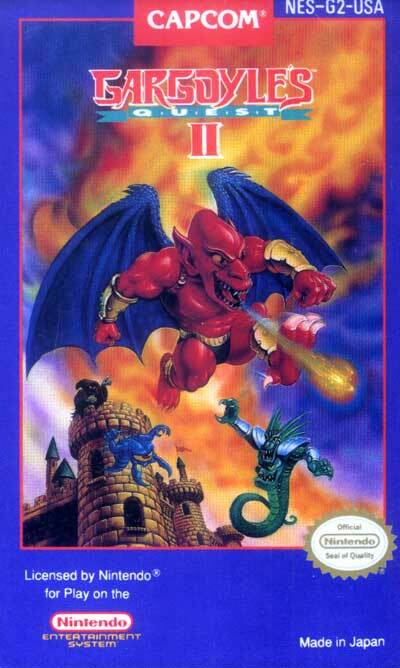 In case you're wondering, the original Gargoyle's Quest was a Game Boy release.